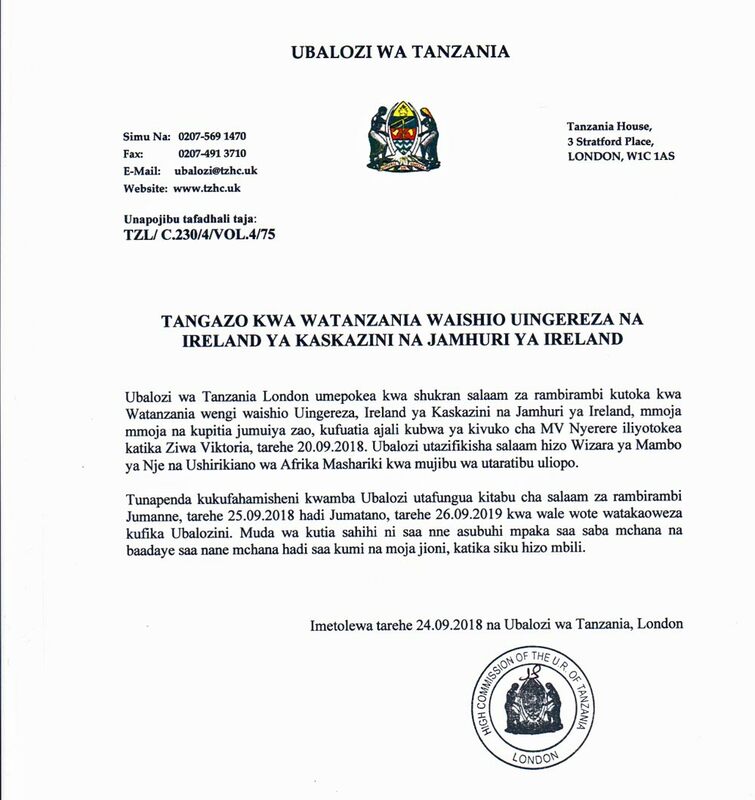 The Tanzanian High Commission in London has opened a Book of Condolences following the sinking of the MV Nyerere on Lake Victoria last Thursday. The book is open today and tomorrow, 25th and 26th September, from 10am to 1pm and from 2pm to 5pm. All at TDT join in the sorrow and shock at the disaster, and in extending their condolences.